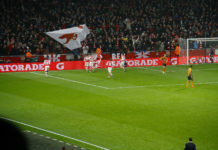 It is believed that Arsenal boss Unai Emery would like two new wingers, one left back and at least one centre back in the summer, but has just £45million as a budget. On the face of it, that budget sounds slim and by contrast to Manchester United, Chelsea and Manchester City, it is. But, there’s still opportunity for the club to make big strides forward with that money in the summer, here’s how. First and foremost, the club need at least one central defender of high quality. The budget restrictions mean the Gunners cannot simply enter the market for a Koulibaly and compete with Europe’s top clubs for a player likely to cost around £100million. What they have to do is take a gamble on a younger player, yet to reach that level, but already showing signs of getting there. One example is Ibrahima Konate, 19. Despite being so young, he’s a physically imposing defender, standing at 6ft 4’, quality in duels and can read the game exceptionally well for a player of his age and size. Arsenal’s recent loan of Emile Smith-Rowe to the club may have opened up the negotiation door for a deal in the summer and a bid of £30million is likely to be enough to sign the French defender. To recoup some of this fee the club should look to part with Skhodran Mustafi, in my opinion. Sokratis and Laurent Koscielny can offer experience central options for another season whilst Rob Holding and Kostas Mavropanos continue to develop. Signed for £35million, Mustafi still has age and so resale value on his side and the club should be able to find a buyer in the region of £25million. At left back my favourite options would be Ferland Mendy and Ben Chilwell. 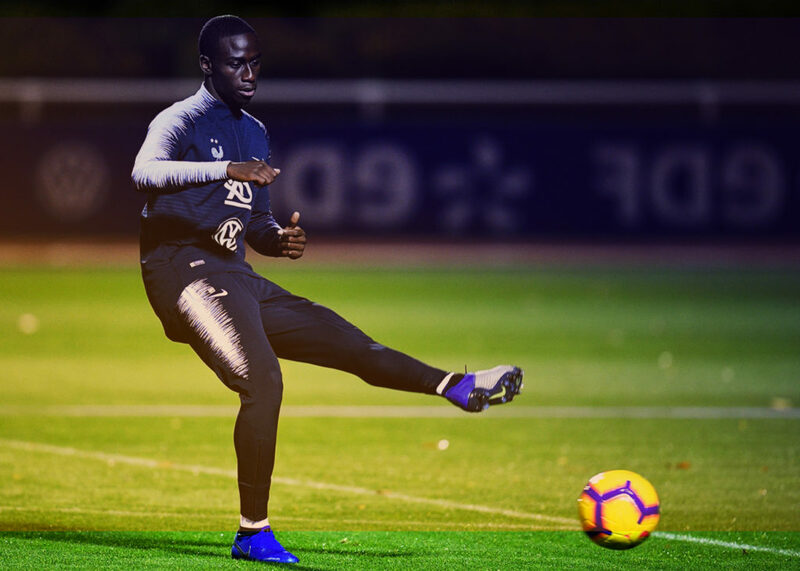 The club will be priced out of Chilwell now with Manchester City talking about bids of around £50million, but Mendy (23) is still a realistic option. £22million could be enough to secure Mendy’s services from Lyon and he would be well worth the investment at that price considering he could be our left back for the next 10 years. Sead Kolasinac is a decent attacking option and Nacho Monreal an experience versatile defender, but one of those would likely make way in order to accommodate Mendy. Kolasinac’s big wages, believed to be around £140,000 per week may see him as the most disposable of the two, especially as he is aged 25 and has market value of around £15million. So that’s potentially £7million net spent to help try and address two key defensive issues this summer. Another area to look at is right back. Bellerin has a bad injury and Lichtsteiner is really not up to it so the club will release him in the summer. Calum Chambers will be returning from loan at the end of the season and after a decent spell at Fulham I’m sure there will be suitors for him at around £20million. This amount would be enough to secure talented Norwich right back Max Aarons, who is just 19 but already impressing at a high level. The club will already see the likes of Petr Cech (retiring), Danny Welbeck (contract expiring) and Aaron Ramsey’s (bosman to Juventus) wages off the wage bill, but shifting Mesut Ozil would go some way to freeing up more vital funds. He’s clearly not an Emery favourite and so an asset of that value must leave, especially when we’re paying him around £300,000 per week. Realistically the club could recoup around £20million for his services, but may need to offset his wages slightly to get that one through the door. That leaves the budget at £58million to sign two wingers. Let’s presume Denis Suarez does well during the loan deal, he will sign on for around £25million leaving £34million for another winger. That’s probably not quite enough for widely reported target Nicolas Pepe, but if the Gunners can also sell Mkhitaryan it would be helpful to the budget and allow the club to secure one of the best young wingers in Europe. Let’s presume the club could get £15million+ for the Armenian, then suddenly Pepe is attainable. Some of my other favourites for this role include: Cristian Pavon, Hirving Lozano, Federico Chiesa and Brais Mendez. All young wide options that would be able to have an instant impact in the first team. The club did seem keen on adding Cristopher Nkunku in the January window and that deal is said to still potentially happen in the summer. Should Arsenal manage to sell Mohammed Elneny for £10-£15million, it could fund a move for Nkunku, who would cost £15million-£25million. Elneny has attracted some interest over the last couple of windows including from the likes of Leicester and moving him on shouldn’t be a problem. Goalkeepers: Bernd Leno (26), David Ospina (30), Emiliano Martinez (26). Right Backs: Hector Bellerin (23), Max Aarons (19). Centre Backs: Sokratis (30), Ibrahima Konate (19), Rob Holding (23), Kostas Mavropanos (21), Laurent Koscielny (33). Left Backs: Ferland Mendy (23), Nacho Monreal (32). Central Midfielder: Lucas Torreira (22), Granit Xhaka (26), Matteo Guendouzi (19), Ainsley Maitland-Niles (21), Cristopher Nkunku (21). Attacking Mids / Wide Forwards: Denis Suarez (25), Alex Iwobi (22), Reiss Nelson (19), Federico Chiesa (21). Strikers: Pierre-Emerick Aubameyang (29), Alexandre Lacazette (27), Eddie Nketiah (19). So despite the doom and gloom around the reported £45million budget (and that’s if the Gunners don’t qualify for the Champions League), there’s still the potential for Emery, Sanhelli and co. to improve the club a lot over the summer with that amount of money. Euro 2016 Player Preview: Can Jack Wilshere Prove His Doubters Wrong?